Four months after their rugby camp at IRANZ, the Barker College 1st XV have been crowned the 2018 CAS Rugby Champions. Finishing with a 15-1 win-loss record, Barker College were dominant throughout the season. Their final game resulted in a 69-19 victory over Knox College 1st XV to secure the Henry Plume Shield; over five other top schools in NSW. The extended 1st XV Squad and Coaching Staff travelled to New Zealand for a pre-season camp in April this year, which included a 12-day camp with IRANZ. Barker College players received Position-Specific Coaching as part of their IRANZ programme. Pictured here is former All Black Jon Preston working with the halfbacks. The Customised Course programme featured a range of modules, including mental skills and team-building activities. Their programme also included two matches against local competition, which provided each player the opportunity to work 1:1 with one of our Position-Specific Staff Coaches in a live scenario. 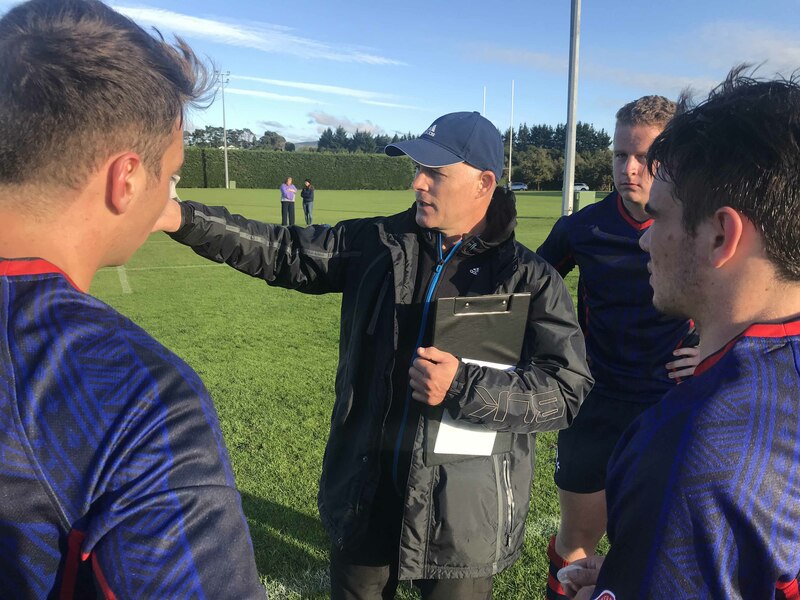 Having returned to IRANZ in 2018, Barker College 1st XV Head Coach Dean Hargreaves spoke fondly of his second experience in Palmerston North. Hargreaves previously attended IRANZ in 2003 with Saint Ignatius’ College Riverview – where coincidentally, they would also go on that year to secure the GPS Schools Championship. Seven members of the Barker team were selected for either NSW or Combined States to compete in thee Australian Schoolboys Rugby Championships, whilst four members of the team — Lachlan Dring, Billy Pollard, Luke Reimer and David Tejcek — have also been selected into the Australian Schools Rugby Squad to play New Zealand and Tonga in September. IRANZ would like to send a warm congratulations to Dean, Ben and the rest of the Barker side on a hugely successful 2018 Season.